Melinda’s is proud to be the Official Hot Sauce Sponsor of Chefs For Farmers sixth annual Main Event! 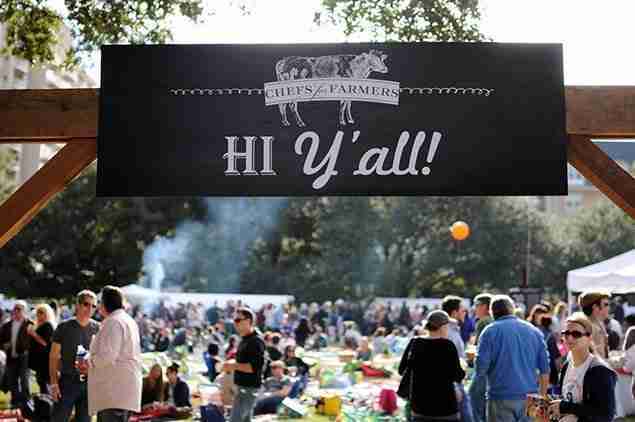 Come join us to explore a mouth-watering culinary treasure map across the beautiful lawns of Dallas Heritage Village! Throw in dozens of wineries, breweries, distilleries, local food artisans, DJs, and live music, and we are set for an absolutely great time. What started out as an idea to band a few chefs together at a long table dinner in a local farmer’s field has evolved to this awe-inspiring event that takes literally a year and dozens of volunteers to produce. The event centers around celebrating the hard-working farmers who grow our food and the talented chefs who create delicious, locally-sourced menus. In addition, this event has been able to pay out checks to many local farmers in the past and raise awareness that North Texas has some major talent when it comes to agriculture. What better way to show off Texas’ produce, meats, cheeses, hot sauces and wines than to host one of the best parties the city has ever witnessed.